One of the characteristics of a warrior is action, physical action. A warrior does not merely talk, but rather engages in activity. His capability to do so enables him to be more attentive and have a better sense of reality. Western culture encourages us to behave uniformly. Conduct in our society is a certain way of speaking, moving and relating that is not necessarily natural and independent. Maybe the reason for this standardization is creating a convenient social system, but in this manner, Western culture distances us from reality. Doing, with the body in particular, brings the warrior back to other aspects of the real world, enabling him to penetrate through the existent social web of beliefs. Forrest Gump is a simple minded man, who is unaware of the patterns of Western culture. This may be the reason he is able to act. In this sense, Forrest Gump is a warrior. Examples of Forrest Gump taking action are apparent throughout the film. When a comrade from his unit is injured in Vietnam and he runs to help him, he does not pause to think of what he has to do, nor does he care about what would be more appropriate. In his search for Bubba, he feels the danger of being killed, but the understanding and acting of what must be actively done is clear and obvious. This knowledge is obvious to us all; however we do not always think honestly enough to enable us to take action, we use many excuses to not do. In his search, Forrest comes across other injured men; this is not the friend he is looking for. However, he also understands: what needs to be done is to get them to safety, and thatâ€™s what he does. Later on in the movie, in his next chapter in life, Forrest Gump is a fisherman. For a regular person, moving to a new place, buying a fishing boat, becoming a fisherman and all that it entails, is a complex project that requires a long thinking process. Forrest teaches us that it is not necessarily so â€“ all you have to do is buy a boat and go out to sea. Get up and do something. The skills will come from doing. The most apparent example for Forrestâ€™s taking action is running. His need to run arises from the confusion that prevails in his life â€“ his mother dies and the woman he loves mysteriously disappears. Forrest understands, subconsciously, that the solution is through his legs, through running, through doing with the body. Running enables him to cope with the difficulties in his life and to understand them. Intense physical action is unique. It enables us to understand our transience. The difficulty of breathing during intense efforts, the muscle pain and the overall tiredness remind us we are mortal. This understanding is a key to grasping some simple facts of reality around us. This is one of the essences warrior needs â€“ a clear view of the things that happen around him. The Tel Aviv Dojo, together with the â€œNitzav Rafaelâ€ charity foundation, is launching a Passover food drive for needy families. We would appreciate donations of food products such as: sugar, tea, jams, canned food, sweets, spices, soft drinks, cleaning detergents and any other dry raw materials. Collection will take place between the 18th and 23rd of March, 2007. In the 1980’s “Enter the Ninja” The movie, hit the big screens (starring Franco Nero and directed by the great Menahem Golan). Back then, when there were fewer entertainment options, people were influenced by the movie and the sequels that followed. A new fighter had emerged, a Bruce Lee alternative. I used to practice Karate, and walked around carrying a Shuriken I hacked from my mother’s blender knife. I was climbing trees, building camps and making weapons like: wooden catapults, a device that shoots darts out of an antenna pipe, a stick that shoots rubber bands or a fork turned into a stabbing device – these were common in the neighborhood where I grew up. Training and fighting with the kids in the adjacent neighborhood were part of everyday life and I was ready for anything, or so I thought. Seriousness began after I was eighteen. When I enlisted, I stopped practicing Karate and looked for a way to continue training since my old dojo had closed. One Friday as I walked around Tel Aviv I was enlightened when I saw an ad that read: “Come train in the Ninjas’ martial arts. I went to class with my brother. We saw about twenty people there and stepped on to the mat. The instructor introduced himself and asked that we call him by his name and not use any title. The lesson began with a sentence in Japanese, that I didn’t understand, some strange clapping of hands and a bow. And then it began: a really unbelievably hard warm-up of almost forty minutes of push-ups, sit-ups and what have you, some fast exercises, blocks and kiai. That’s how I remember it to this day, still slightly foggy I guess. I went home with my body in pain and the experience repeated itself every Tuesday. My brother quit after a month and a half. I continued because at some point we began sparring which was the highlight of the training session. It was much tougher than anything I experienced before, but it was fun to come home with an aching body, scratches and black marks, noticing that my body is still in one piece, but still feeling great. Today I’m on the other side – I am a Ninjutsu instructor. It took me sixteen years to understand the difference between dreams and patience. Newcomers ask me: so, are you a Ninja yet? Let’s just say that today it is less important, life is not a movie, you cannot set off a smoke bomb and disappear every time something doesn’t work out for you in life, you have to work and invest time every day in order to do something. These days, every child watches Friday morning TV, and then comes to practice thinking that within a week they would be the best Ninja in the world. I look at them, and in their eyes I can still see they don’t understand walking the path, they just dream of reaching the goal. But I am at ease; these are the Ninjas of the next generation. The AKBAN-wiki project is launching with some fundamental commitments, articulated in this document. Those who support these commitments are invited to contribute to the initial shaping of the project Those who reject any of these commitments are hereby asked to abstain from participating. I. The nature of the project. The ultimate goal of the AKBAN-wiki community, martial arts veterans from all martial arts and sports, is to create the most reliable and largest encyclopedia that they can. The AKBAN-wiki will be a wiki. Edits will not be required to be approved by editors before appearing on the wiki. The AKBAN-wiki will not be centered on one or more martial art or martial arts practitioner. A wide view will give rise to many variations of movement and technique performance. Correct performance and safe techniques will be emphasized. Advertisements on the AKBAN-wiki will be posted automatically. There may be unobtrusive non-profit sponsorship statements, but sponsors will have no editorial influence over the project, and enforceable, adequate oversight of this rule will be in place. Similarly, no grants that make specific editorial demands will be accepted. The AKBAN-wiki will be devoted to simplicity, and cooperation. II. Fundamental policies concerning content. The content of the AKBAN-wiki will always be open content. Â· Safe â€“ the AKBAN-wiki will include only safely executed techniques. Techniques that are not safe by nature or are specifically dangerous will have a special warning and will be used as a reference only. III. Fundamental policies concerning community governance. All contributors to the AKBAN-wiki must do so using their own real names, unless special and unusual permission is granted by project management. 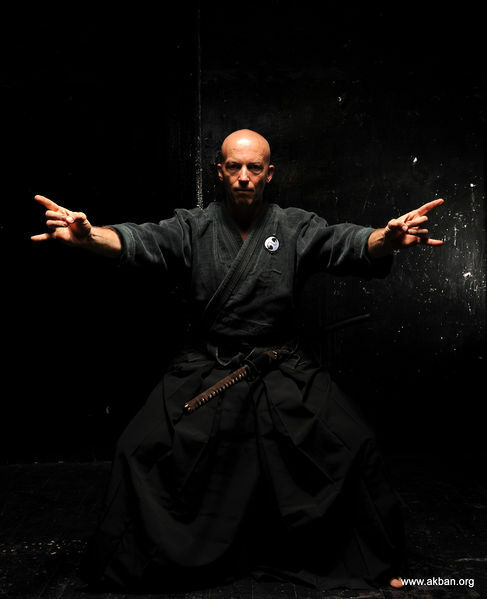 The AKBAN-wiki will be open to contribution by a martial arts veteran (tentatively, “authors”) who is able to make a positive difference and who is willing to work collaboratively under the policies and management of the project. The AKBAN-wiki will invite subject area experts to serve as editors. The term “editor” is, however, used in a restricted sense. Editors will be expected to work “shoulder-to-shoulder” with authors in the wiki. Among the things that editors will be empowered, singly or collectively, to do are (1) to make decisions about specific questions, or disputes, concerning particular articles in an editor’s area of expertise, and (2) to approve high-quality articles. Editors will not have the right, except perhaps in very unusual cases, to “lock” articles and thereby prevent the collaborative process from continuing. Finally, editors will be expected to share authority with other editors who are expert on the same subjects. Contributors in good standing have a right to build the AKBAN-wiki without constantly having to do battle with people who are constantly breaking project rules or trying to undermine the project. So there will be a process for rapidly removing rule breakers from the project. While most people will enjoy the privilege of contributing to the AKBAN-wiki if they are able to make a positive difference, there is a blanket right neither to contribute nor to participate in the project’s governance. There will be a right of appeal, and analogues to other traditional “legal” rights will be observed, such as the right to view and respond to the evidence cited against one. We will make extensive creative efforts toward effective design of oversight processes, to ensure that the appeals process is not abused, e.g., in a self-serving way or to advance ideological views. 3. The general public has the right to expect the quickest possible removal of copyright-protected and libelous material. Processes and tools will be created that make it difficult for libel to appear on articles concerning living persons and their activities, and for such to be removed as quickly as it is found.